Below you will find some more information about a few of our clients and their achievments. Enetech (Engineering/Construction subsidiary of Texas Utilities) is a major provider of services to government and private utilities companies. During the time Organisation Technology consulted Enetech (about two years), employee numbers grew from 400 to 1400 and revenues increased from $35 million to $250 million. Enetech has won many major utilities related contracts throughout Australia. Mr Bernie Cooper, CEO Enetech (right), with Mr Peter Simpson, MD Organisation Technology. 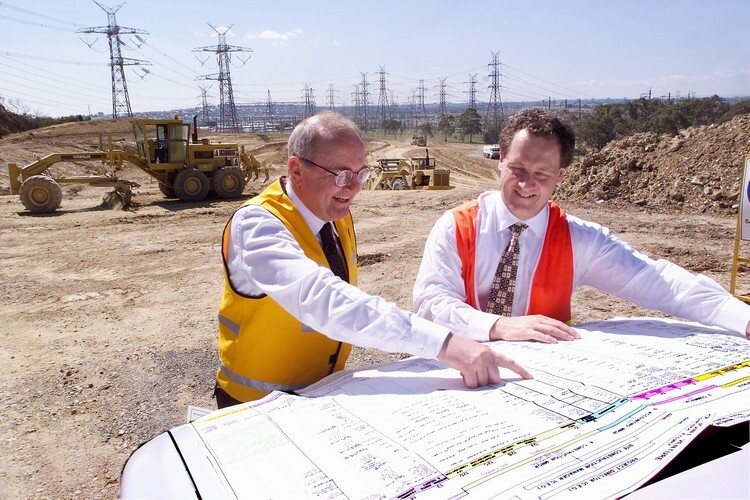 The picture was taken at the Rowville Power sub-station project. It shows the organising chart developed by Organisation Technology for the project. Since adopting Hubbard Management Technology, Oyaizu Tea has achieved its highest ever sales and net profit (percent) after nearly 50 years in business. Prior to this, sales had been declining for several years. This result was achieved despite a declining Japanese economy. One of Oyaizu Tea Company’s factory complexes in Shizuoka, Japan. 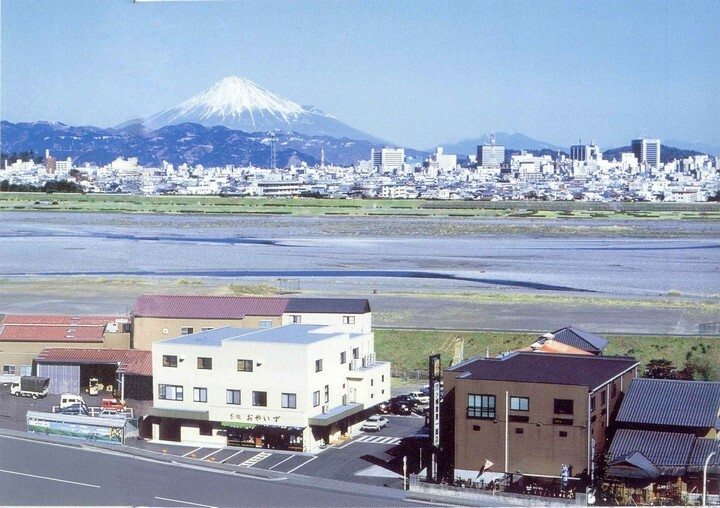 The factory is beside the Abe river with Mt Fuji in the background. Bechtel Pacific – (USA’s largest construction firm) and Minenco (a division of Conzinc-Rio Tinto) – a joint venture construction project of $1billion aluminium smelting expansion project at Gladstone Qld. Organisation Technology assisted in the development of an organisation structure, a performance based reward system and clarified senior management roles and responsibilities. The resulting improved efficiencies contributed to savings of $100 million dollars and achieved project completion six months inside the contracted target date. 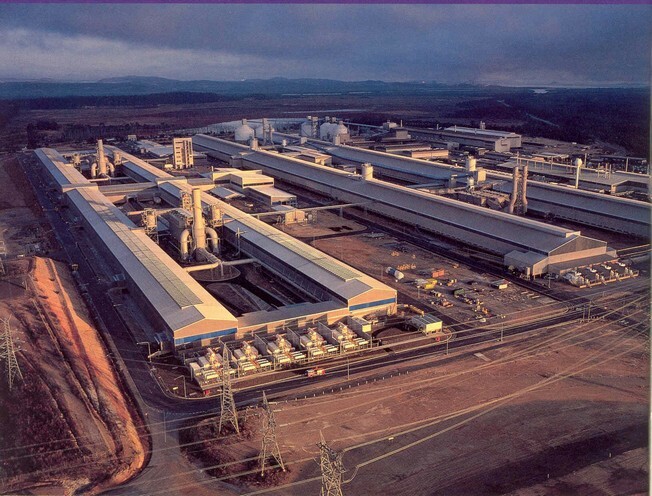 The smelter began operation in 1982 and, following the commissioning of the $1 billion expansion in 1997, it now has a production capacity of 490,000 tonnes of aluminium annually. It is the largest smelter in Australia and one of the largest in the western world. YKK Aluminium (Australia) Pty Ltd, Ryowa Development Pty Ltd.